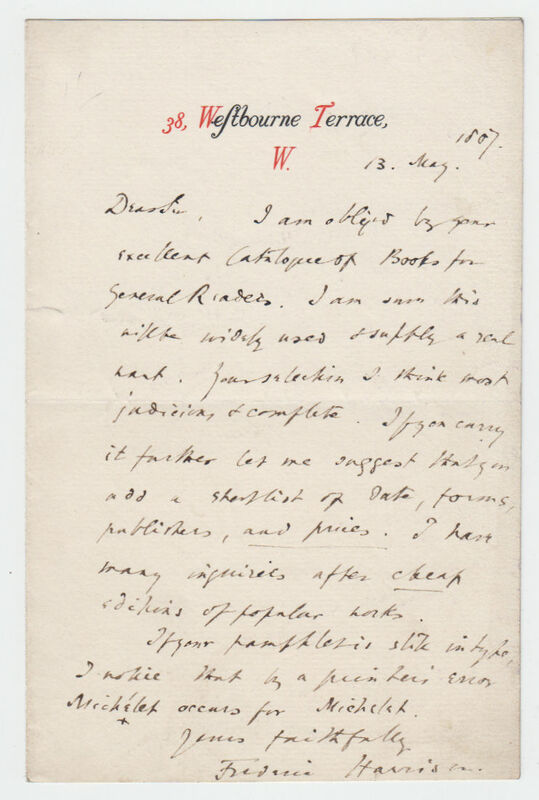 Autograph Letter Signed, thanking his correspondent for the ‘excellent Catalogue of Books for General Readers’. providing a couple of suggestions for improvements, and stating that ‘I have many inquiries after cheap editions of popular works’. 1 page 8vo. Fine. 38 Westbourne Terrace, London, 13 May 1887. Frederic Harrison (1831-1923), philosopher and lawyer.